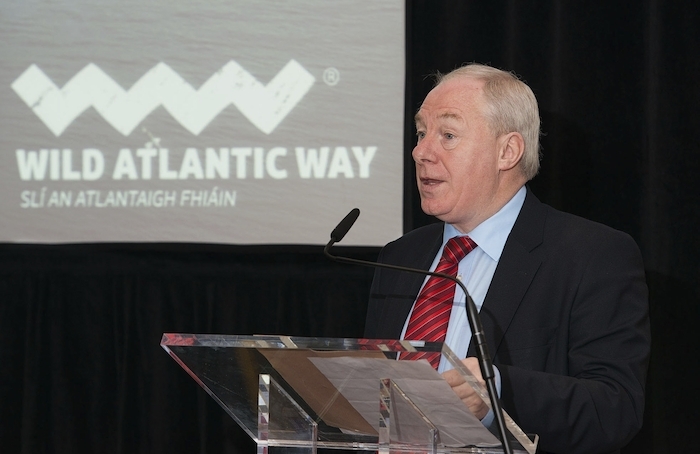 Minister for Rural and Community Development, Michael Ring, today announced funding for seven projects in Mayo under his Department’s Rural Regeneration and Development Fund. Three of the projects are solely within the county while the other four projects cover a number of counties including Mayo. The Rural Regeneration and Development Fund aims to revitalise rural Ireland by supporting self-sustaining projects in towns and villages with a population of less than 10,000. Announcing the funding, Minister Ring said: “I am delighted to allocate €2.3m in support for a number of wonderful projects in Mayo in particular. The projects being supported in Mayo are: (1 ) Town regeneration in Ballinrobe – the fund will support significant regeneration works in Ballinrobe, providing €825,000 for the development of Market House, the town library and grounds and an upgrade of Bowers Walk; (2 ) Ballycroy National Park – the fund will support capital works to be undertaken by the National Parks and Wildlife Service in Ballycroy and elsewhere in the county and provide support for the development of a Dark Sky Planetarium project in the National Park. In total, the fund will deliver over €800,000 for these projects; (3 ) Global Geopark in Galway and Mayo – the fund will assist in the development of a Global Geopark for the Joyce Country and Western Lakes area of both counties, providing almost €1m for the development of the project; (4 ) Digital Hub in Swinford – to support a project by the Western Development Commission to establish Rural Digital Hubs in Swinford (5 ) Cycle Network in Mayo – providing €75,000 for the development of a cycle network through Mayo extending from Leenaun to the Sligo county boundary and (6 ) Lost Treasures Trail – providing €56,000 for the development of a trail linking Westport and Cong, highlighting the heritage assets along the way." Minister Ring continued: "These allocations are in addition to the €2.9m in funding I announced for Mayo from the Rural Regeneration and Development Fund last November, when I announced support for the GAA's Centre of Excellence in Bekan and eight Enterprise and Digital Hubs. "In total, Mayo has benefitted from over €5m in funding from the Rural Regeneration and Development Fund and work in relation to these projects in either already underway or will commence shortly. "It’s great to see communities in Mayo availing of this unprecedented level of funding for rural Ireland. I look forward to seeing these projects come to fruition and I urge all parties to ensure that the investment is put to use without delay. "This funding is a clear demonstration of Project Ireland 2040 in action. The funding will transform communities in Mayo by delivering projects in sectors such as tourism, enterprise and improvements to the public realm. A total of €86 million nationally has been allocated to towns, villages and outlying rural areas throughout Ireland under Rural Regeneration and Development Fund. "I believe that it is vital that we make our towns and villages vibrant places for families to live. It is also particularly appropriate, with Brexit approaching, that we continue to strengthen the rural economy and support sustainable development. The projects that this fund supports are targeting areas where they can have the greatest economic and social impact. "Today’s announcement represents the culmination of the first call under the Rural Regeneration and Development Fund. We have had a phenomenal level of interest and I want to take this opportunity to congratulate all of those that were successful. For those who has been unsuccessful, my Department will provide feedback to enable them to prepare for the next call for proposals later this year."